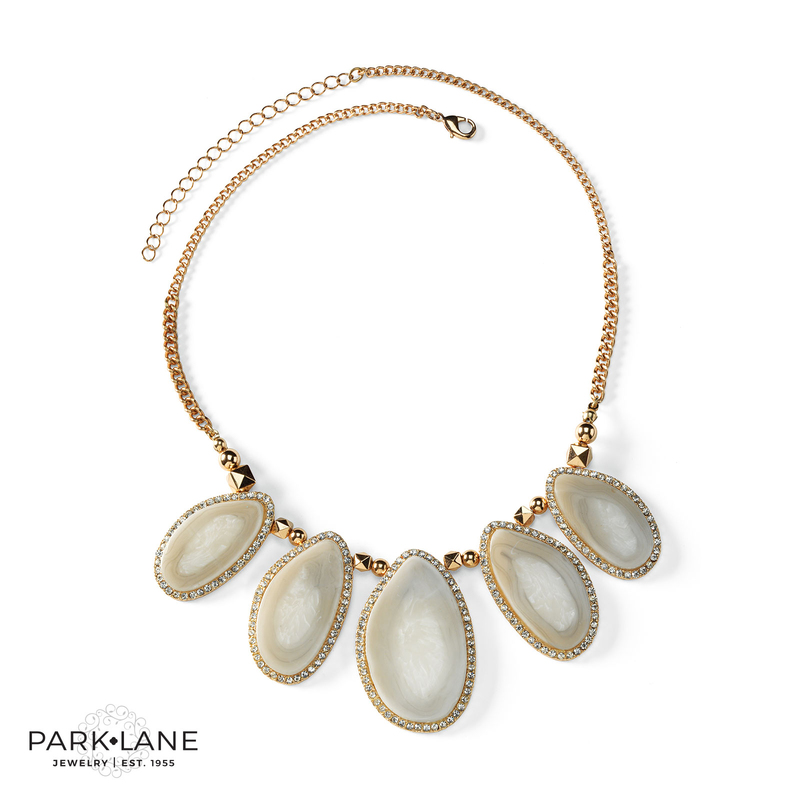 Our Stone necklace is created for those who appreciate a Designer Inspiration combined with Genuine quartz stones. Each necklace is unique and one of a kind. Each quartz stone is surrounded by hand-set cubic zirconias of the highest quality. The warmth of the 22kt Gold finish is combined with the coolness of these genuine stones which allows you to enhance a variety of colors in a wardrobe. 16" +3 "